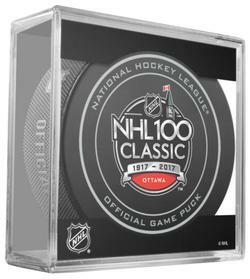 The NHL 100 Classic was a regular season outdoor National Hockey League game held on December 16, 2017. The game featured the Ottawa Senators playing the Montreal Canadiens at TD Place Stadium in Ottawa. It was the first of the three scheduled outdoor regular season games in the 2017–18 NHL season.